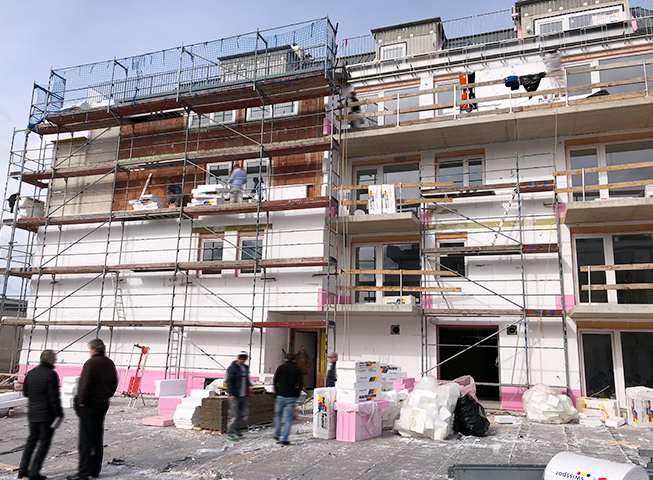 The construction work on sites 1 and 3 is progressing rapidly. On site 2, which has already been handed over, the spacious gardens will be individually designed by the new owners at the beginning of early spring. 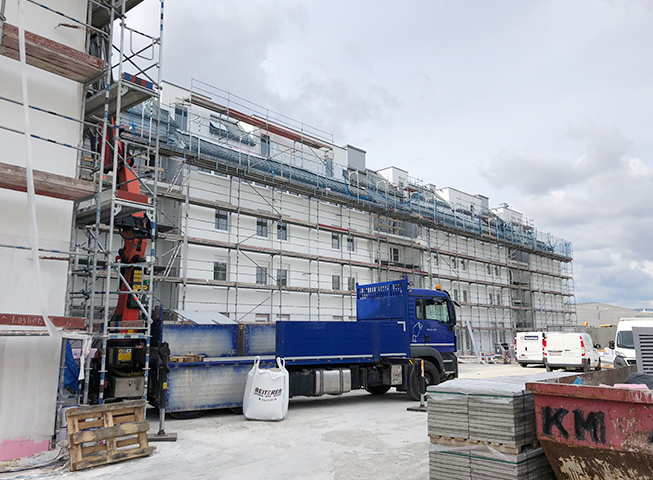 On site 1, the plaster on the façade is getting scrubbed, the interior work is progressing well and the construction of the exterior facilities has also started. 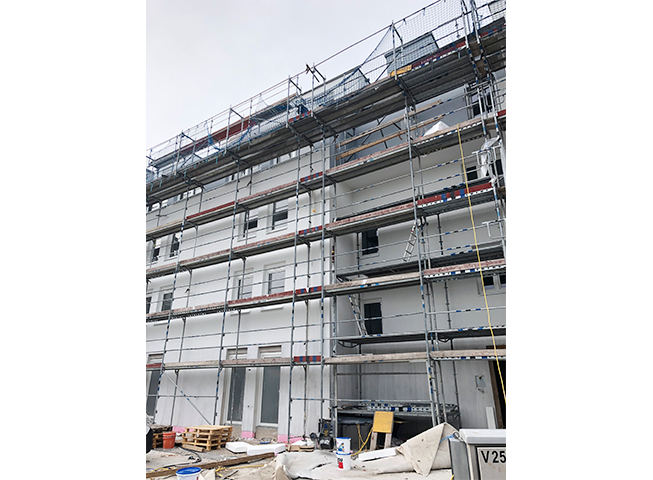 The carpentry work on the roof of the rear building site 3 is completed, the work on the exterior facade has started and the interior finishing work is progressing rapidly.